← Pallister and the PC Government throws farmers and WiseUpWinnipeg (Public Advocates) under bus. ​Private Public Partnerships (P3) perusal is NOT good government policy based on a track record of influence and corruption in Winnipeg, Manitoba and elsewhere. ​Private Public Partnerships (P3) perusal is NOT good MB Pallister government policy based on a track record of influence and corruption in Winnipeg, Manitoba and elsewhere. The Sun and Post Media should be ashamed of themselves for such a false and misleading one sided story. No wonder the writer is not listed. The MB RCMP D Division Corporate Crimes unit can investigate serious allegations of corruption in corporations or government if there is enough evidence presented to them. 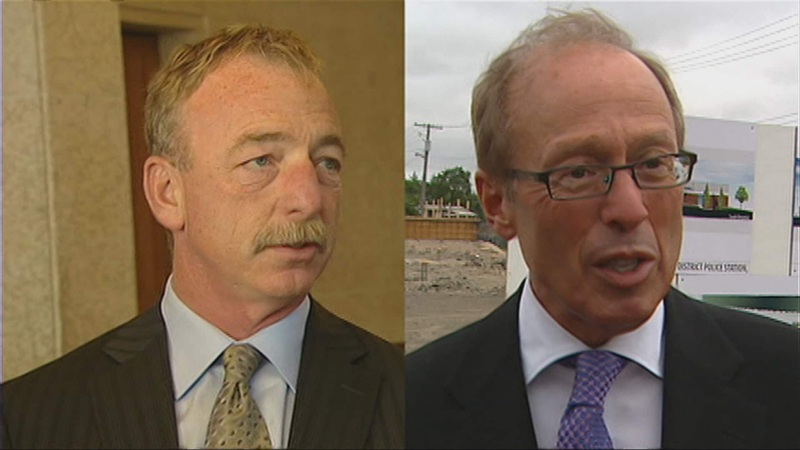 They are busy investigating allegations like this involving former CoW Officials Mayor Sam Katz, CAO Phil Sheegl and possibly others along with Caspian Construction and possibly others related to the Firehall land swaps; Police Headquarters; Canada Post building and possibly other scandals or allegations. There likely has been some good examples but they should include the full story when recommending something like this. These public private sector partnerships and especially construction have been plagued with corruption or influence and are not worth the risk until our politics are cleaned up and more transparency, accountability and consequences for breaches on both sides legislated. And when one analyses the corruption problem, remember that MB has a lobbyist registry. It fails to note when each visit was made, and the topics of each meeting/letter. The FRRY and Parker land acquisitions, and the PE and BRT developments clearly only make sense as vehicles to funnel public money to undeserving corporate interests. The people involved are not stupid enough to do these deals, if there were no corruption involved. There is a reason that the Feds will not provide proper funding of the Commercial Crimes-RCMP: some Decision maker may fear being investigated in future. The CommCrime team says they only take on cases which are identified by the Mayor or Premier. This fact is a strong indictment of a system which protects crooks in its midst. The Pallister government is doing the right thing by moving ahead with plans to consider using public-private partnerships to build schools. The province announced this week that it’s hired consulting firm KPMG to study the matter further and to make specific recommendations on how to proceed on P3s. Given the very successful track record the city of Winnipeg has had using P3s to build a number of bridges and other infrastructure projects — which were completed on time and on budget, while saving taxpayers millions — it makes perfect sense for the province to apply that model to other types of capital projects like public schools. P3s, in fact, have been used for decades across Canada and they’ve proven to be very successful in leveraging private capital to the benefit of taxpayers, while ensuring the asset being built remains the property of government. Winnipeg’s experience with P3s goes all the way back to the 1990s with the construction of the Charleswood Bridge, which was built through, and maintained by, the private sector through a lease agreement with the city. It cost taxpayers less than would have been the case if it was built through the traditional tender process. Naturally, public sector unions don’t like it, but mostly for ideological reasons. They don’t like anything that involves greater private sector involvement in the delivery of public services, even if it makes sense for taxpayers and provides government with value for money. So they use scare tactics to try to frighten the public that a move towards P3s means school divisions would lose control over schools. Nothing could be further from the truth. As long as P3s are devised in such a way that school divisions retain control of the asset, there is no risk whatsoever that a public body would not be able to manage that asset as they always have. P3s simply represent an alternative way of constructing, financing and maintaining a public asset. But at the end of the day, it’s still a public asset to be used as the public body sees fit. If the province can build schools or other assets like hospitals or personal care homes using P3s at a lower cost than the traditional tender process, it would be irresponsible of them not to pursue those options. This is good public policy. This entry was posted in News and politics, Sustainability and tagged government of manitoba, Katz, p3 contracts, Pallister, Sheegl, winnipeg, wiseupwinnipeg. Bookmark the permalink.